Fancy managing the national football team of the most populous country on earth? If so, it's time to polish the CV as China's Football Association is advertising for a new boss on its website. Former Portsmouth manager Alain Perrin was sacked on Thursday after twice drawing 0-0 with Hong Kong in 2018 World Cup qualifiers. There is an application form to complete and interested parties are expected to possess a wealth of coaching experience, a good ability to communicate and an understanding of international football and Asian football trends. Speaking the local language is probably an advantage as the form is in Chinese. The chosen candidate will be expected to lead China to the 2019 Asian Cup and 2022 World Cup. 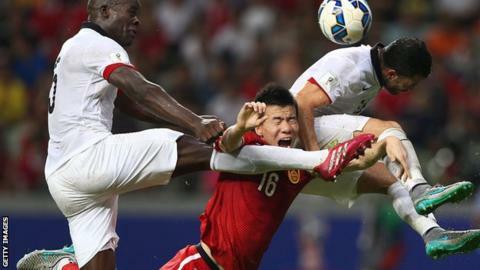 China have qualified for the World Cup only once before, in 2002, when they lost all three group matches and failed to score a goal. They are currently third in their group in the preliminary stage of qualifying in Asia.